I just had two of my absolute favorite products run out. Lush Flying Fox shower gel and First Aid Beauty Face Cleanser. 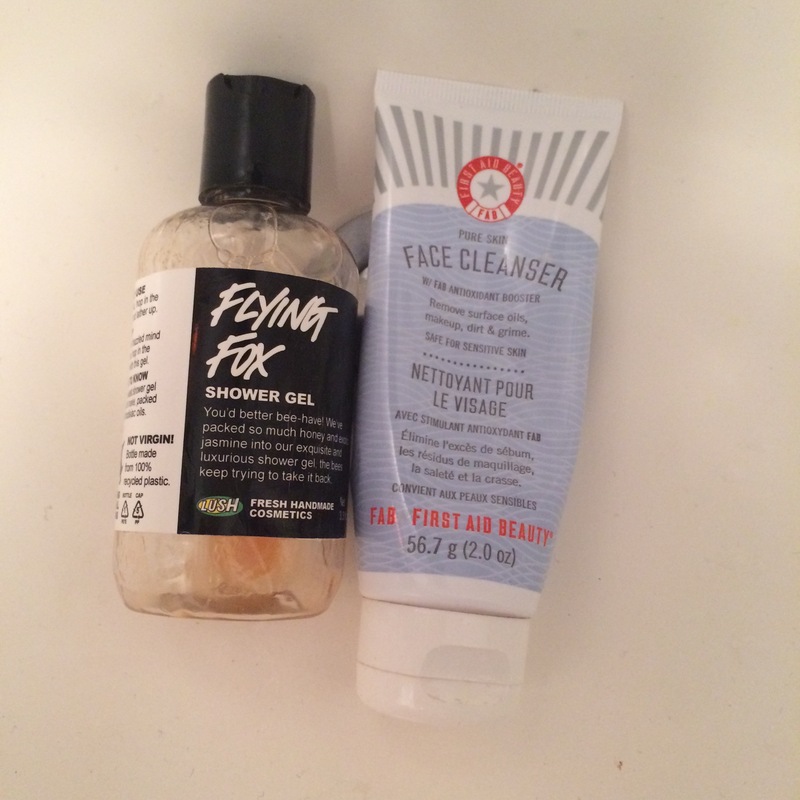 You may remember my last post of Empties, where I also had the F.A.B face cleanser. I do love this product. I feel like you can’t go wrong with this brand. So naturally, I must be off to sephora tomorrow to buy another! The Lush Flying Fox shower gel is one of my favorite scents. Seriously. I wish there were popular jasmine fragrances out there. I’d totally rock it. I’ve gone through a few bottles of this shower gel and they actually last a pretty long time. I think one of the employees told me that the gel doesn’t contain that much water so the formula is much more concentrated which is why a little will go a long way, and the product can last. I’m dying to go to Lush but for whatever reason I don’t have the same self control that I do when I go into Sephora. When I go to Lush I end up leaving with 4 or 5 things! Maybe it’s all the events that get me. What are your favorite products you’re constantly running out of? love flying fox! I review a lot of lush products on my blog if you wanna check it out!